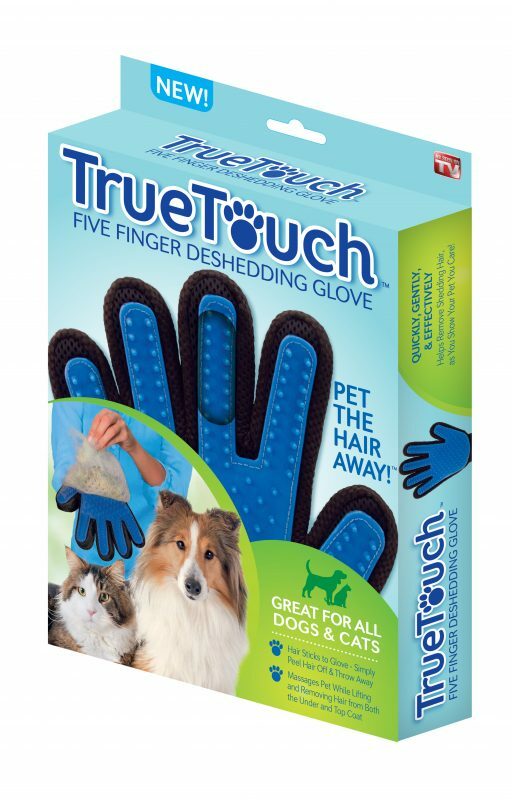 Your pet will love the True Touch™ Five Finger Deshedding Glove! It mimics the loving touch of your hand for a relaxing massage and includes 180 soft silicone grooming tips to groom your pet with ease. The hair sticks to the glove, making it easy to peel and throw away. Minimize shedding and keep your house clean with the True Touch™ Deshedding Glove.